Jillian Undercover: PLEASE VOTE FOR JILLIAN HERE! A couple of weeks ago I was invited by Laura of Punto Jewelry to participate in a jewelry design competition they were organizing. Punto Jewelry is the bijoux department of Punto Accesori, a company that was born in Italy in 1978. They have more than thirty years of experience in the accessory and jewelry industry, working in close contact with the biggest names in Fashion! The most voted necklace on Facebook will win! 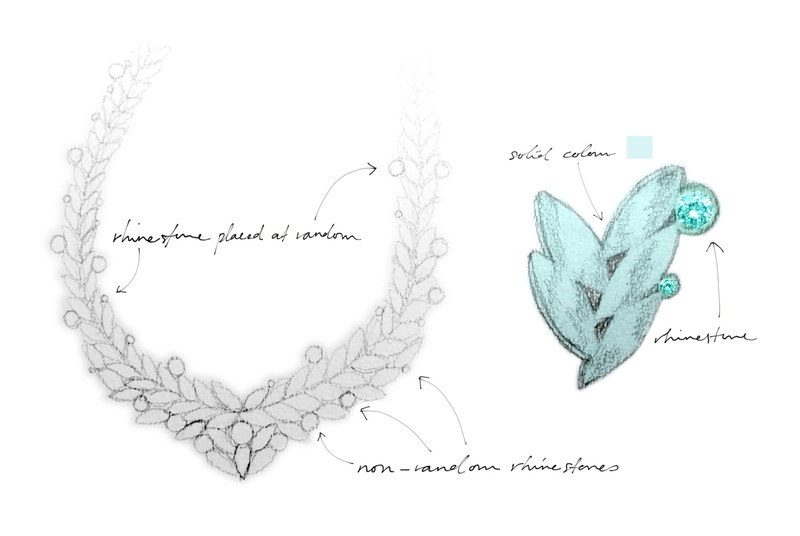 The winner's creation will actually be realized and made by Punto Accesori themselves. The best part is, the finished product will be showcased and promoted at the next Modamont exhibition in Paris this September! How awesome is that? This is so important to me. I've always wanted to embark in Fashion, more importantly Jewelry design and trade. And now, I've been given this opportunity. It feels like a ticket to my dream! I originally created several designs for the competition but had to choose only one. All I can say is that it was a difficult decision to make. After designing the first one, all I could think of was, "I really wish I could buy this". It is meant to be in mint green and to have an almost 'milky' look to it. 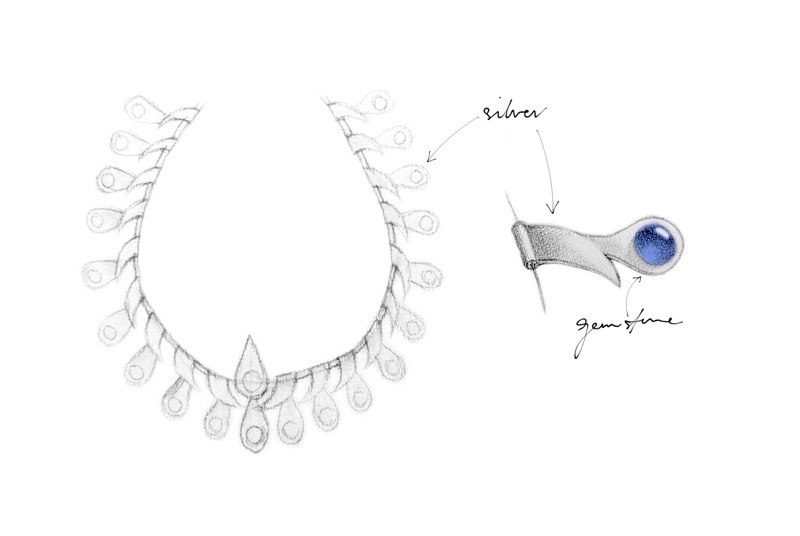 To make it a little more polished, the necklace will be embellished with rhinestones of a deeper hue. This second one is meant to look less formal but still is versatile. I can imagine it being worn with a loose white top and shorts, layered with other silver necklaces or even over a white crisp shirt paired with a blazer. But the third is inspired by ancient Aztec ruins and the rich culture of Tibet. What I like most about this necklace is the colour combination of the rich red and green. It will transform any boring outfit and will definitely make its wearer stand out. Most of all, it's got so much character! 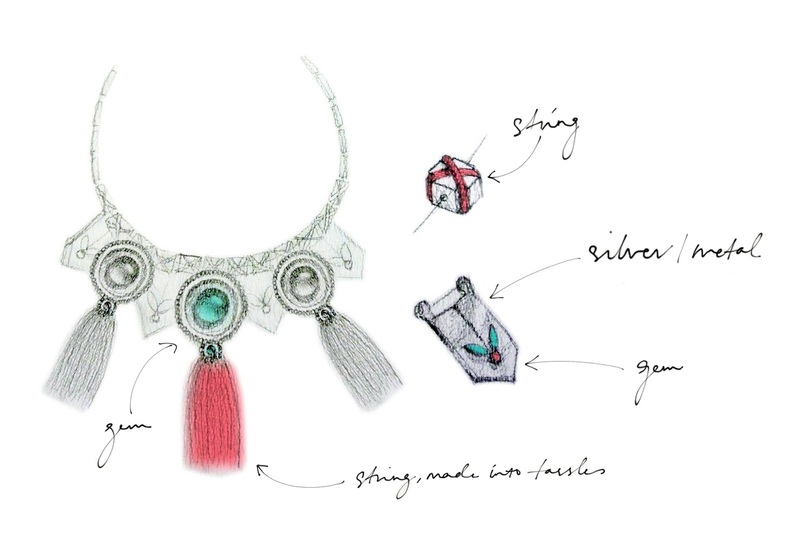 The necklace will have all these details - metal wrapped in red string, green gemstones, tassels and rough looking edges. I can imagine it being worn in all year round, but especially in summer. Somehow choosing this one felt right. I like how it's quite original. You don't often come across designs like this and it'll be really cool to be able to wear it. So please please please, I'd really appreciate it if you would vote for me on Punto Jewelry's Facebook page. I've got lots of catching up to do. All you have to do is 'Like' Punto Jewelry's page and click the heart under my picture! You'll also get 10% off your purchase on PuntoJewelry.com Follow this link and vote for me!